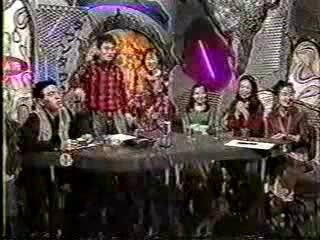 Guest: CoCo, a pop group consisting of Mikiyo Ohno, Rieko Miura, Erika Haneda, and Maki Miyamae. Released their first single in 1989. 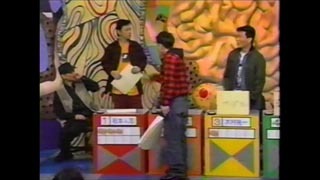 A few of their popular songs were used as themes for the Ranma 1/2 anime series. Koji Imada is still being left alone in the cage so Higashino Koji & Yamasaki Housei get upgraded to collapsable chairs outside the cage!